Kitchen cabinets consume approximately 40% of your remodeling budget, unless you are careful. Of course, for many people who want entirely new cabinetry, this is fine. However, it is important to know this already and be prepared. Not only do cabinets eat up a sizable portion of your budget, they take up a large portion of your kitchen, too. In fact, they commonly become the focal point. Cabinetry does serve a vital purpose and that’s to store all of your dishes, cooking gadgets and other related items. So how do you decide what’s right for you? The bulk of the cost is the door. In fact, as high as 70% of the overall cost is due to the material and appearance of the door, that and the drawer fronts. 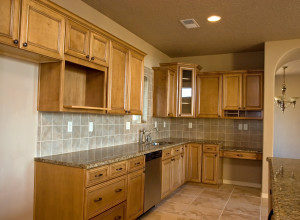 You always have the option to refinish your kitchen cabinets, as well. This can help save you a great deal of money, including labor and time. You can, of course, save money with prefabricated cabinets, but probably will not be happy with the results. If you are going to invest any money into cabinets, and do not want to renovate your existing cabinetry, opt for custom ones. Custom cabinets are important too, because they will fit the exact size specifications of your kitchen. Stock cabinets are a one-size-fits-all kind of deal and tend to not work well with the layout or space you have. Keep in mind that the hardware has a lot to do with the overall finished look. People tend to overlook the importance of the hardware, yet this really does alter the look – as well as make it more user-friendly. Any expert will tell you, or at least should tell you, finding the right cabinets is the key to loving the final result of your kitchen remodeling. Don’t settle for less than the best, but don’t choose what you don’t really want out of desperation. 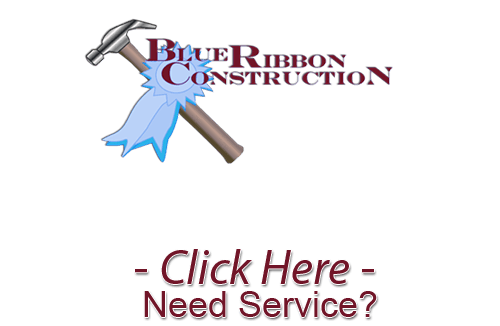 By teaming up with experts like the Blue Ribbon Construction crew, you can feel secure about the choices you make and the final outcome of your project. If you are looking for New Kitchen Cabinets, please call Blue Ribbon Construction at 804-932-5025 or complete our online request form.